Powermeters have become a lot more popular in recent years. What was once the domain of pros only, power measurement is now prevalent in all forms of racing and has trickled down into recreational cyclists as well. Ask your fellow club cyclists where their sudden boost in strength came from, and you’re likely to head them tell you about their powermeter. But we’ll be first to admit—the powermeter itself doesn’t make you any faster. It’s all in how you use it. So why buy a powermeter? Whether it’s a race, a fondo or even just your weekly club ride, it can be easy to ride too hard, and end of having to limp home after the dreaded “bonk.” With a powermeter, you can be a lot more careful about the energy you expend, and have a better idea of what you’re capable of. Heart rate measurements work for this too, but with heart rate, there is lag. If you put in several sprints, for example, your heart rate might not even ride until after the effort is over. Watts are watts though, and sprints take a lot out of your legs. Only a powermeter can give you an accurate measure of just how much energy your ride is costing you. On any given ride, factors like headwinds, whether you’re drafting other cyclists, or the grade will affect your time and your heart rate. Only a powermeter will give you an accurate measure of the actual effort. Ask a coach for training tips, or look at any training program for cyclist online, they will recommend some form of interval training. Intervals are efforts that are harder than your average pace, for a shorter durations of time, and are designed to build strength. How they often work is by taking a baseline measurement (FTP is a popular place to start) and then following a prescribed workout with intervals and recovery based on a percentage of your FTP. For example, you might do several 4 minute efforts at 120% of your FTP, with several minutes of recovery in between. With interval training, you can maximize your training time on the bike. Before the advent of powermeters, the prevailing wisdom was to log log miles in the saddle; a process that would take most of a weekend. If the ride was outdoors, this could mean many long hours in miserable, cold weather in preparation for a season of riding or racing. 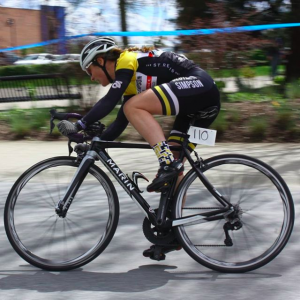 With powermeters and interval training, racers and recreational riders alike can maximize their training time and build more strength with less time spent. You can only train as hard as you can recover. If you’re not taking time for recovery, you can easily fall victim to overtraining, and do more hard than good to your level of fitness and strength. Training programs as prescribed by coaches often have a healthy dose of recovery rides scheduled into them. These are rides when you have to have the discipline to not put out too much power, so your legs can remain active without tiring you out further. That kind of discipline can hard to maintain, especially when you’re being passed by other riders on your usual loop. With a powermeter though, you can watch your watts, and feel secure in the knowledge that you are staying within the prescribed power zone and getting a good recovery. Cyclists come in all shapes, sizes, and disciplines, but that doesn’t stop us from comparing all of our power numbers. 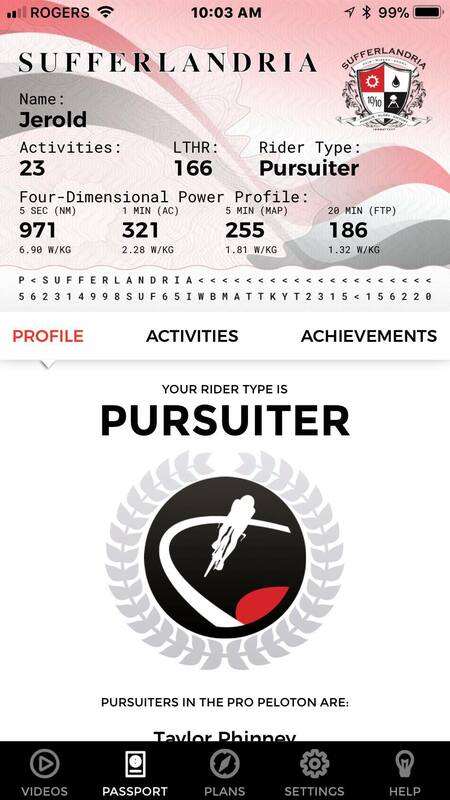 With your powermeter connected to a program like to 4iiii app, Strava, TrainingPeaks or the like, you can brag to your friends about your FTP, your maximum sprint power, or measure your performance against your numbers historically. Measuring your efforts will give you a better idea of any gains you experience. You can do periodic FTP tests, or even measure your power output on your favourite segment out on the road. Having a historical record will give you a better idea of your progress, and before long you’ll be the one answering questions from your club mates about where all your newfound strength came from. Every now and then you have to take a break from training. The next time you need to sit still for some serious recovery time, watch one of these gems from the vintage video files. When is someone going to make the next great cycling film? Way overdue! Kevin Costner, the early years. A tale of two brothers and a three-day race in the mountains called the “Hell of the West.” Directed by Steve Tesich, who also directed Breaking Away (see below). Synopsis: When Dr. Marcus Sommers (Kevin Costner) realizes that he and his troubled, estranged brother David (David Grant) may be prone a fatal brain disease that runs in their family, he decides to make peace with his sibling, and invites him on a trip to the Rockies. There, the brothers bond over their shared enthusiasm for cycling and decide to enter a grueling bike race through the mountains. However, Marcus’ health soon begins to fail, and David must compete without his brother at his side. Four friends chase a dream and win Steve Tesich an Academy Award for Best Original Screenplay. The video above is the full movie, not a trailer! 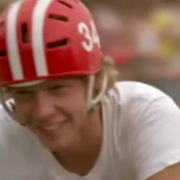 Synopsis: Dave (Dennis Christopher) and his working-class friends Cyril (Daniel Stern), Moocher (Jackie Earle Haley) and Mike (Dennis Quaid) spend their post-high school days in Bloomington, Indiana, sparring with snooty students from the local university, chasing girls and–in Dave’s case–dreaming of competitive bicycle racing. The four friends face opposition from all corners as they decide to make Dave’s dreams come true in the university’s annual bicycle endurance race. Women take to the road. No one said it would be easy. Modern society has long believed that women hold up half the sky in terms of equality and progression. So when it comes to the sport of professional cycling, why aren’t women receiving half the road? One of the most delightful animated movies ever made is about cycling and Made in Canada. Synopsis: This animated film follows elderly Frenchwoman Madame Souza as she becomes involved in international intrigue when her grandson, Champion, a professional cyclist, is kidnapped and taken abroad. Joined by her faithful dog, Bruno, Souza embarks on a journey to find Champion and stumbles across unlikely allies in the form of three sisters who are veterans of the vaudeville stage. Tracking down Champion’s criminal captors, the quartet of old women use their wits to try and win the day. An independent film about the development of a national cycling team in Rwanda, a country still affected by 1994 Rwandan Genocide where an estimated 500,000–1,000,000 Rwandans were killed. Possibly the greatest cycling documentary of all time. The definitive BMX movie, filmed right here at home in Alberta. A BMXer (Bill Allen) tries to enter a corrupt promoter’s nationally televised cash-prize race. Graham Obree, he of the hour record and bike design fame, once said you can only train as hard as you can recover. For an especially beneficial recovery, throw on one of these classics and stay put—your legs will thank you. 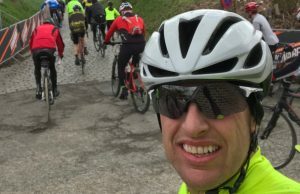 What follows is a first-person account from Martin Dodd, our Channel Development Lead, International Markets, who participated in two of cycling’s most famous sportives. 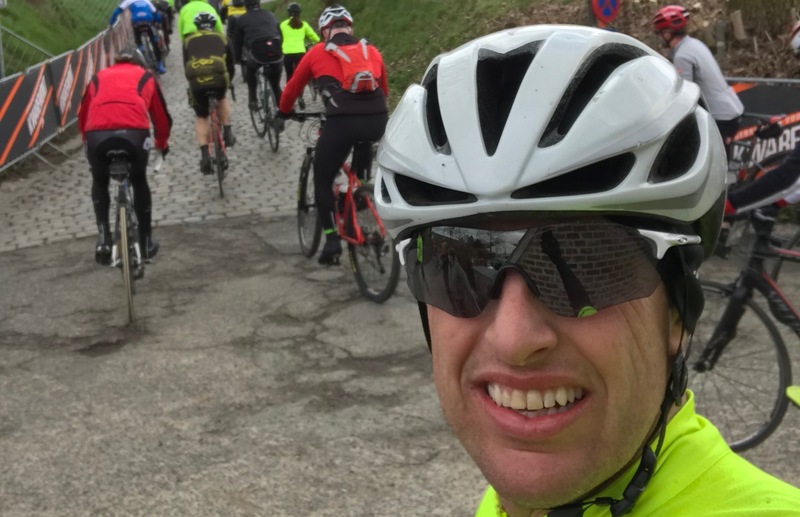 The first is his race report from the Tour of Flanders Cyclosportif. 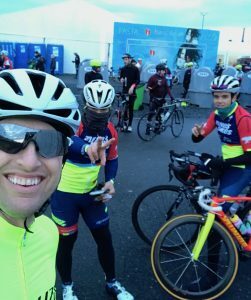 We’ll publish his report from the Paris-Roubaix Cycling Challenge also. 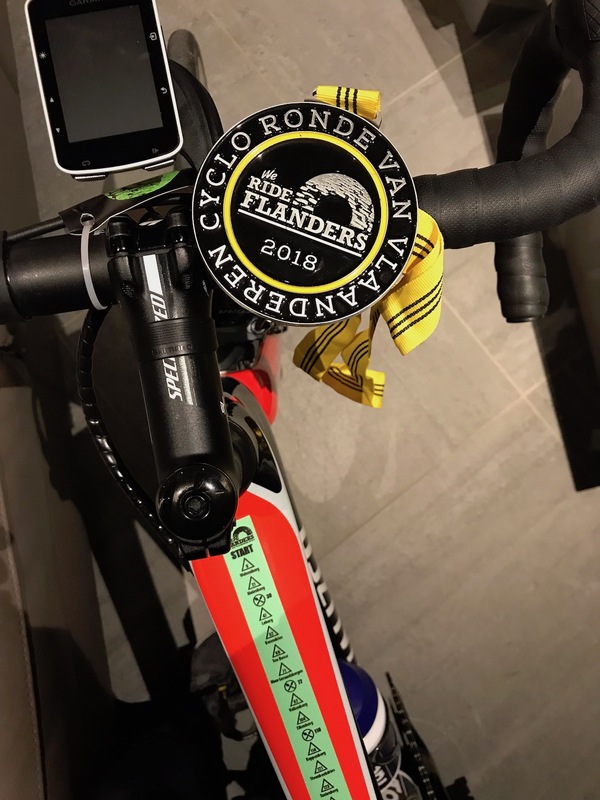 When people ask me what my favourite cycling races are, without hesitation I respond, ‘The Tour of Flanders and Paris-Roubaix.’ So when I was invited to go to Belgium to experience “Holy Week” and support our 4iiii Dealers I was beyond excited to be given this once in a lifetime opportunity. 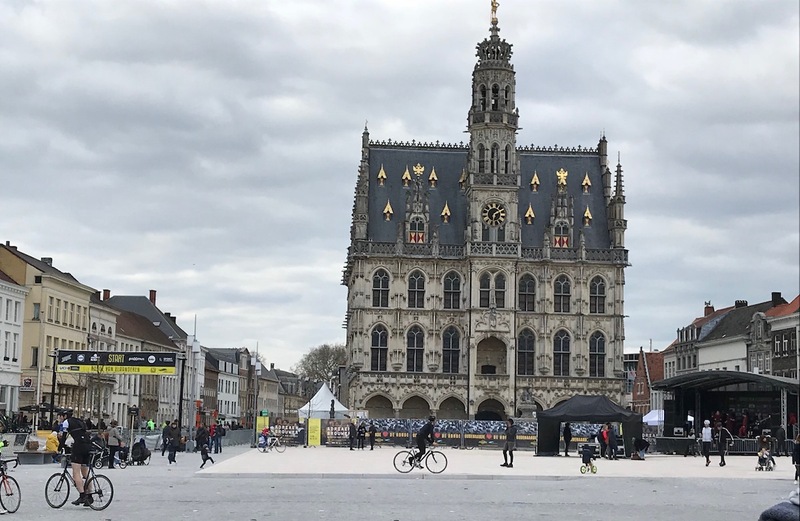 In cycling, Holy Week consists of the Ronde Van Vlaanderen (The Tour of Flanders), Scheldeprijs and culminating with the ‘Queen of the Classics,’ Paris-Roubaix. 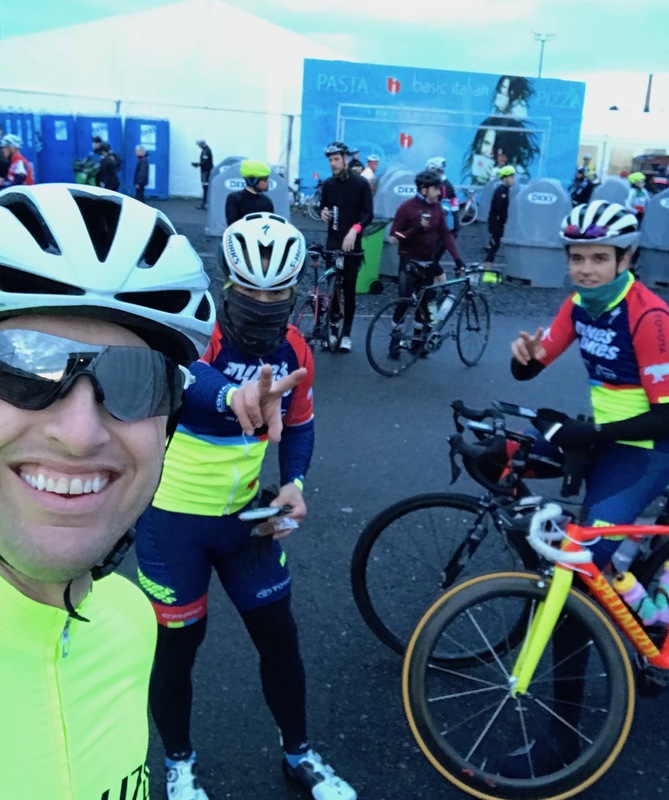 Before I left for Belgium I was asked if I wanted to join some dealers and ride the Tour of Flanders Cyclosportif and the Paris-Roubaix Cycling Challenge. Both events are run the day prior on the same course as the men’s race the following day. Without hesitation, I said yes. 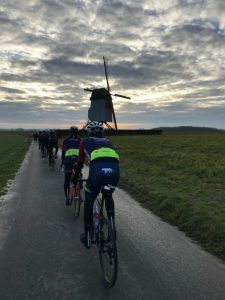 The morning of the Tour of Flanders started with anticipation of what was in store for us: Over 175km of riding up and down the famous cobbled climbs of Belgium. The ride started on paved roads. With the first climb looming, my heart skipped a beat. This was it, I was going to experience my first cobbled climb. As soon as we hit the first short, steep climb the adrenaline took over and I felt like I was floating over the cobbles. I was passing riders as my bike was thrown from one cobble to the next. I was trying hard to make my rear wheel grip on the slick, damp cobbles that had been laid centuries ago. As I crested that first cobbled climb, I had a grin from ear to ear. Today was going to be awesome. I reminded myself to try and soak everything in, to burn it into my memory. Soon we were well into the ride and approaching the famed Muur climb. As you crest the Muur, the famous church sits atop the hill, looking down on the cyclists, giving them right of passage on these holiest of roads. Upon reaching the 100km mark, things were starting to get interesting. Each climb was approaching quicker and feeling steeper and rougher than the last. My body was taking a pounding and we still had over 75 km left. 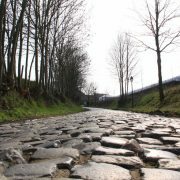 The most famous climbs of the Koppenberg, the Kwaremont, and the Paterberg were still left to ride. As I approached the Koppenberg, I knew I would be walking up this one. Not due to the grade, or the cobbles; it was due to the hundreds of people struggling to get up it. This event is one of the most popular of the year, attracting 16,000 participants. When you approach these famous climbs they can be so crowded, there is no choice but to trudge up them, slipping and sliding while trying to gain any grip from your slick cycling shoes. After walking up that climb I was determined not to experience that again. During the ride, I had no idea which direction I was in as the course, ducked and weaved through beautiful villages, farms, and towns seeking out every climb that is in the area. We would climb up one hill, just to immediately descend to climb straight back up another hill, sometimes even the same hill. After 150 km I had reached the Oude Kwaremont, famous because it is traditionally the point of attacks that win the Tour of Flanders. The climb was everything I expected and far more, with people screaming, encouraging you to keep going. My legs were burning, as I inched my way over every bump and crack. What I wasn’t aware of was the Kwaremont doesn’t seem to end, especially when you just want it to be over. Finally, after I crested over to the false flat of the cobbled road I was on smooth pavement, my legs yearning for this to be over. There was still one more climb to go, the heinously steep Paterberg. Luckily it was relatively short. The crowds were now deep, with beer flowing, warming up for the real deal tomorrow, encouraging their favourite rider onwards to victory. My victory was now to get over the top of the Paterberg and power on to the finish in Oudenaarde, 15 km away. As I turned left I rode over a picture of Peter Sagan’s face, painted on the road, wondering what he would feel like tomorrow, riding over his own face, and vying for victory himself. After 6 hours and 30 minutes I finally crossed the finish line, totally spent, yet feeling euphoric. My own holy week had begun. I had actually ridden over these historic climbs, where countless of my heroes had ridden before me and will ride after me. Emotion filled me. The Muur, Kwaremont, Koppenberg, and Paterberg didn’t disappoint. This is the story of how Jerold from our customer service team became a tester in our labs and rediscovered himself as an athlete. This year, Jerold has embraced training with power, has participated in a number of events, lost over 120 lbs, and has set goals for where he’d like to take his training. We’ll follow his progress in a series of updates this year. I love how riding makes me feel. I know it sounds cliche but when I ride, I forget about everything. I don’t care about anything except feeling free. When I ride it’s just me, pushing me, wanting to be a better version of me. 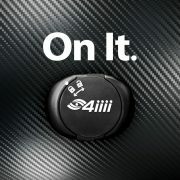 I started training with power when I was asked to be a test rider at 4iiii Innovations. Right away it turned into a competition: we kept a running tally of the maximum power that we would hit during our sprints. I peaked at over 1600W and was proud to see my name at the top of the list for a long time. Testing was fun and hard. We spent a lot of hours in a room with some of the smartest people I have ever met. They would push us and the equipment to the edge of what we were capable of. One time, I was on the fourth or fifth interval, and I cracked—I was face deep in a garbage pail. One of the techs helped me get back on my feet. Another, who was in charge of data collection, gave me a snack bar and a bottle of water and asked me to go again… I wasn’t finished. Believe it or not, this is a fond memory and I’m sure a lot of other athletes can relate. 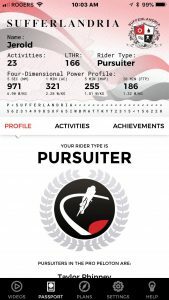 This winter I took part on the Tour of Sufferlandria, a virtual tour consisting of trainer workouts, hosted by The Sufferfest. It was fun and not fun at the same time. Riding the stages were really tough but I worked through it. Each day, I had it planned to ride and I did. Some were harder than others, but that doesn’t mean that any of the stages were easy. There is a Facebook group for ToS and people from all around the world encouraging each other. We came up with the idea of making a video of myself and Martin, another 4iiii staffer, riding one of the stages outside, in -30C weather here in Cochrane. That was a lot of fun for us, but recovering was harder than I bargained for. I don’t recommend it. 2018 is kind of a return to cycling of sorts for me. I have always been a guy that struggled with weight. I love to eat! There was a time in my life, before working at 4iiii, that things just went off the edge and I managed to pack on enough that I tipped the scales at over 410 lbs! I was 38 and I was on the couch watching TV with all my snacks when I saw a show called “too fat for 40.” That was my ‘aha’ moment. One major catalyst for getting back on track was meeting my buddy Dan. 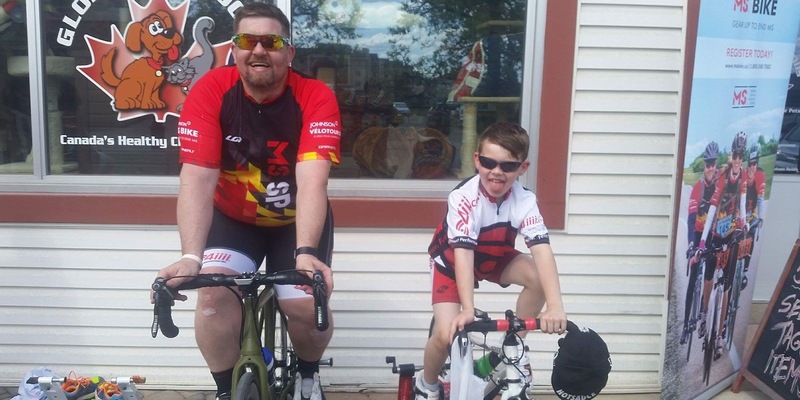 He owns a boutique bike shop in Cochrane and when I met him I was huge. We worked together to build a bike that would hold up under my weight. I pushed myself, I cried, and I tried, but I kept going on. My wife was amazing through this ordeal. Fast forward to December 2017. My friends from work introduced me to The Sufferfest. I rode a few times and I started watching my food. My first 4DP Fitness test was brutal. The thing that was amazing was that my legs just seemed to remember how to do this. It fired a spark. 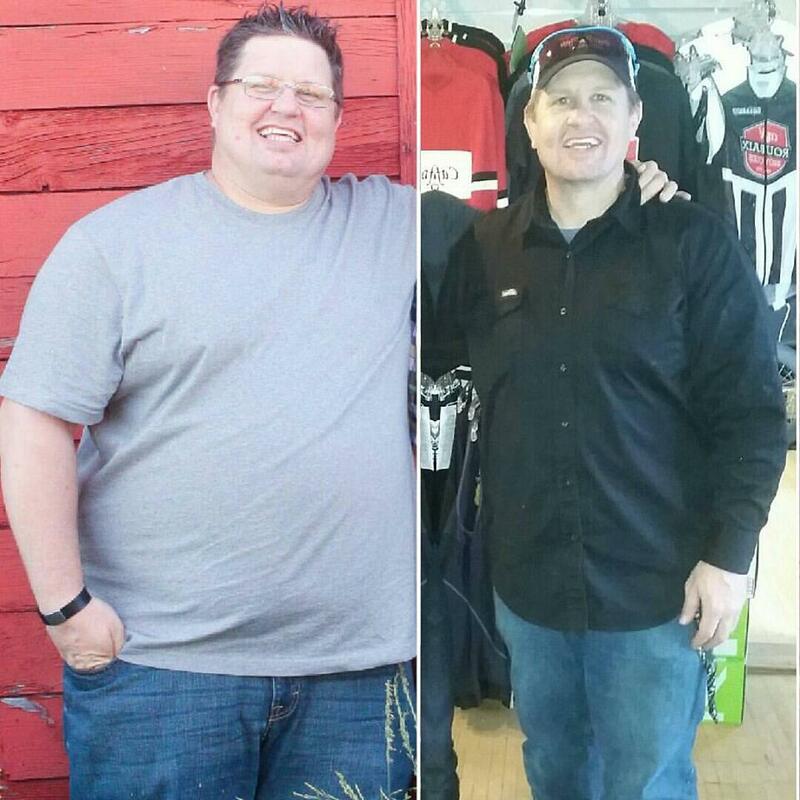 I’m down over 120 lbs from my peak weight, and my power on the bike is returning in a big way. I feel better, I look better, and most of all I acknowledge that there’s still work to do. Some of my goals this year involve racing BMX again and being able to be on the track with my boys. Being on the track with them is amazing. 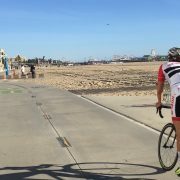 I am going to ride in my third MS Bike Tour this year as well. It’s a great cause and I look forward to riding with my team, The MS Spokes People. As the year progresses, I’ll add more events to my calendar and train to achieve goals. Training with power is key. I have always been a strong sprinter, but I don’t always have the gas to hold the power that long. By having a power meter, I am able to measure my efforts, building them up to last longer. To train against that weakness. Using programs like Sufferfest and my PRECISION PRO powermeter enables me to train smarter—to get myself to where I am able to produce more power and hold it longer. These days I feel really good being part of the bike industry. Working with so many great riders and teams, teaching my kids about how fun and awesome bike racing is—that’s what makes me want to be better. At this stage of my life, I like being able to throw my leg over the top tube, clip in and smash the watts with the younger kids on lunch rides. I may not be as fast as I once was, but I can feel myself returning to that former glory and I’m not done yet. Not by a long shot. We’ll continue to follow Jerold’s progress and provide updates on his training and events. Have a training story you want to share with us? Leave us a comment or email Jerold directly at jerold@4iiii.com to share your story. For some cyclists, racing and training outdoors all year round isn’t always feasible. With the kind of weather we get here in Canada for example, that means a lot of indoor training, and for many, it means riding in the virtual world of Zwift. What is Zwift? It’s a 3D virtual world, connected to the act of training on a bicycle (or a treadmill). It’s like a video game where you actually have to do the pedaling to advance. 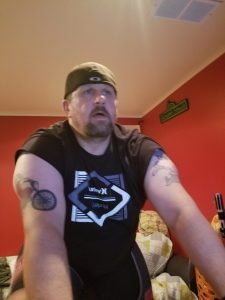 Taking the components of “gamification” and adding them to the act of sweating on a bike trainer, Zwift has grown in popularity all over the world. Athletes have several options. They can explore the various online “worlds” within the game: there’s a London course, the 2016 World Championship course from Richmond Virginia, and their own world called Watopia, with volcanoes, underwater tunnels and all manners of “scenery” to keep you in the spirit of riding. As a rider, you can also choose whether to just ride, to follow one of Zwift’s training programs (like the 4-Week FTP builder), or you can make or upload your own custom workouts. Whatever option you choose, your mileage earns you points toward in-game upgrades like kit designs and fancy wheels and frames for your virtual bike. And whatever you choose, Zwift guides you through a ride, encouraging you to work harder as you ride among other virtual riders from all over the globe. They also have group rides and racing, which is where things get interesting, and where an entire sub-culture of road cycling has emerged. 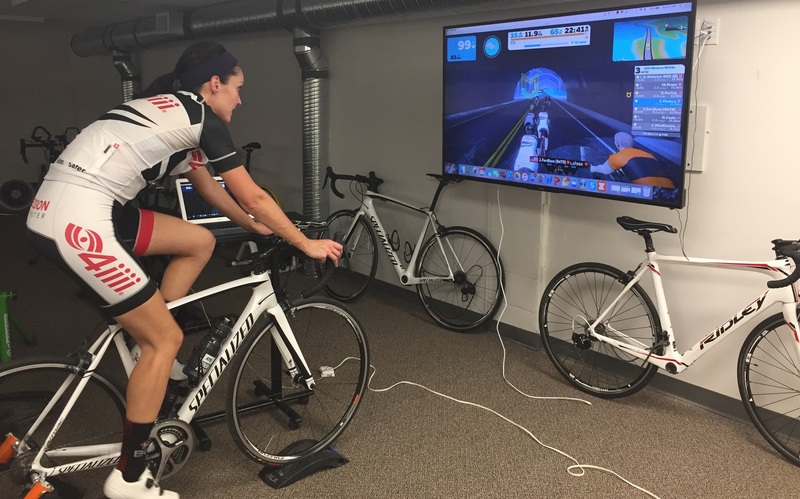 The key metric in Zwift is “watts per kilogram,” so riders are expected to enter their weight honestly. To ride in Zwift, you need some means of connecting your bike to a device like a laptop, mobile phone, smart tv, or Apple TV. The app is available for download to a computer, or on a mobile device. For the truly dedicated, this means buying an expensive smart trainer, one that can respond to the game mechanics. For example, to ratchet up the resistance on a climb. 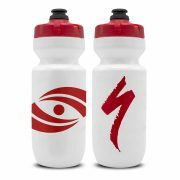 But the minimum requirement is a means of reading the data from heart rate monitors, powermeters and/or speed and cadence sensors. A small Ant+ USB dongle does the trick, and they cost about $40-50. If you’re using a 4iiii powermeter and Viiiiva heart rate monitor, your device may read the Bluetooth signal as well; no dongle necessary. Stuart Lynne is a race Commissaire, racer, and bike race organizer with Escape Velocity Cycling Club in Vancouver. When he’s not doing the timing at a Spring Series, crit or cyclocross race, he’s training or racing on Zwift. If you haven’t already, try Zwift for yourself. Need a powermeter and a heart rate monitor with a Bluetooth connection to use as a bridge to Zwift? Check out our shop to learn more about our PRECISION and Podiiiium models. What is FTP? Your FTP is the highest power that you can maintain in a quasi-steady state, without fatiguing, for approximately one hour. 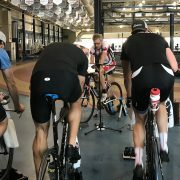 Both FTP and the commonly used 20-minute testing protocol were developed by Dr. Andrew Coggan, co-author of Training and Racing with a Power Meter. When we explain the value of powermeters in cycling training, we sometimes use a simple analogy: You wouldn’t load up a barbell at the gym and just start doing squats. You’d take a careful approach to how much weight you could handle, for how many repetitions, to achieve a desired kind of growth. 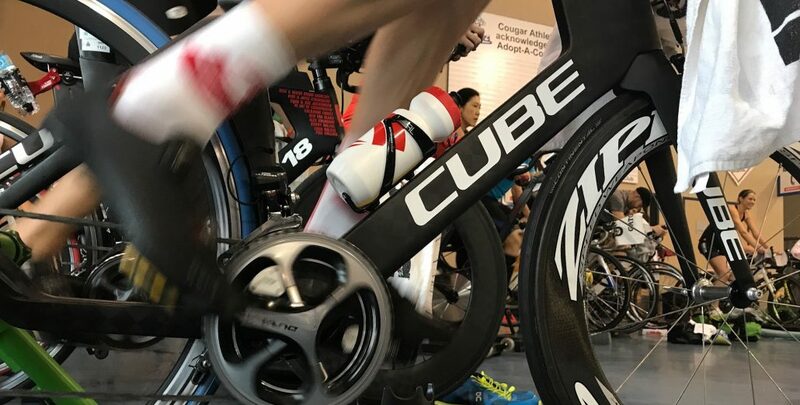 In cycling, powermeters give us the ability to measure our effort and follow prescribed workouts to maximize the effects of our time spent training. 4iiii’s own Alex Stieda, the first North American ever to wear the yellow jersey at the Tour de France, explains the benefits of training with power. Your FTP serves as a baseline measurement of your strength and informs your workouts. For example, a coach or training program might suggest a series of intervals of three minutes at 120% of your FTP, followed by three-minute rest sets at 50% of your FTP. Without FTP as a measurement of your current strength, you’re blindly “loading the bar” with no idea of the implications it will have to your training. But what about your local hill climb or time trial? Isn’t that a good enough indicator of your strength? Simply put: no. Any number of factors can affect your time: headwinds, tire pressure, clothing, humidity, equipment…the beauty of power measurement is that it doesn’t lie. If you were 20 seconds slower on your local time trial because you were battling a headwind, your power numbers will tell the story accurately. To determine your FTP, you need a powermeter and some form of training program or measuring device. Most training programs and head units will automatically note any increases in your 20-minute power numbers, and some will even guide you through the testing protocol. You can take the test outdoors or indoors, as long as you have enough road to ride an uninterrupted 20-minute all-out effort. Below, we’ve highlighted a protocol for an FTP test. At the end of the 20-minute test, take your average power number and 95% of that figure is your FTP. Cyclists love to compare FTP figures at the cafe, but how your numbers compare to that of another rider isn’t the whole picture. Your FTP is just for you. The highest FTP won’t always win a race, for example. The rider with highest power-to-weight ratio will have the easiest time on a hill climb — but even in a flat time trial, factors like drag and pacing will help determine the winning time and not a rider’s FTP. Still, it is a measuring stick and thus comparisons will be always be made. Once you’ve established your FTP, it’s time to choose a training program, if your desire is to improve FTP over time. 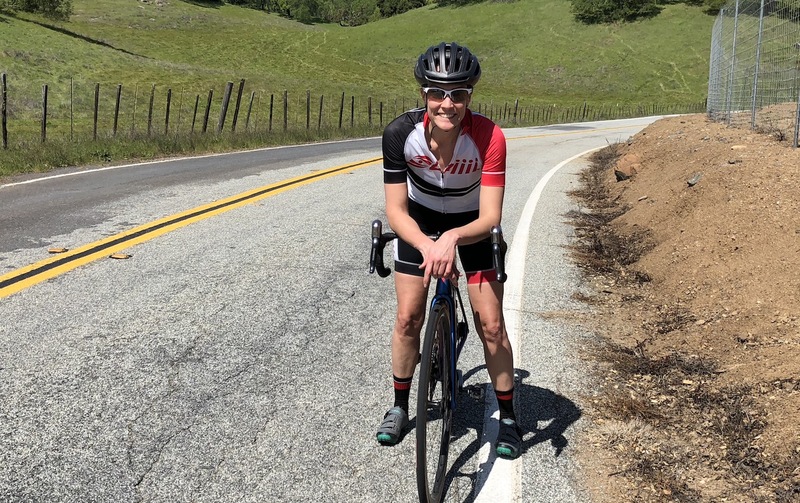 Training programs like Zwift and The Sufferfest have prescribed training programs, or you can enlist the help of a coach to guide you through a program that is purpose-built for your goals. In future articles, we will go into greater detail about these training programs, including advice from coaches and athletes who use these workouts successfully. With regular training, it’s a good idea to retest your FTP every six weeks or so. That way, if you’ve seen some gains in your numbers, your prescribed workouts will change to your new number as well and you can continue to get stronger. 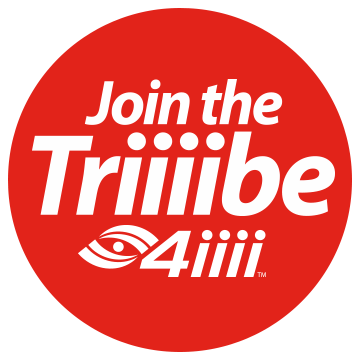 Vancouver, WA, March 12, 2018 – Core Health & Fitness® is excited to announce a new partnership between Schwinn® indoor cycling and 4iiii®. With this partnership comes the release of an optional 4iiii power crank upgrade available on the Schwinn AC™ and SC bikes. 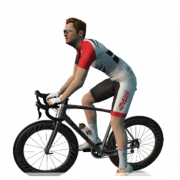 “4iiii is a Canadian based tech company with a rich history in sport technology development and we have found a great partner in Schwinn” commented Bailey McKnight, Channel Development Leader for 4iiii Innovations. Founded in 2010, 4iiii Innovations has grown to be an industry leader in power meter development in a growing number of cycling disciplines. Founders Kip Fyfe and Victoria Brilz have deep roots in innovative sports monitoring that date back to 2000 when they started Dynastream Innovations Inc. Dynastream brought the world’s first speed and distance monitors and the widely adopted ANT+ communication protocol to the wearable market. The Company was sold to Garmin in 2006. A vision of enabling athletes to be ‘smarter, faster, safer’ led Kip and Victoria to create the world’s lightest, most accurate and durable powermeter. 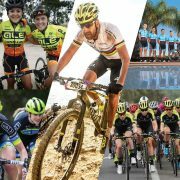 4iiii powermeter technology is relied upon by teams on the World Tour and has become standard equipment through a leading bicycle manufacturer. 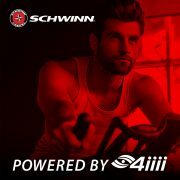 The 4iiii story is one that resonates with Schwinn, the brand behind the first production bike designed specifically for indoor cycling. 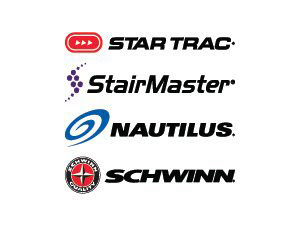 Schwinn is positioned to be on the cutting edge of the indoor cycling industry through new innovations and partnerships that help bring the best technologies in both indoor and outdoor cycling to Schwinn bikes. “Measurement has been game changing in the indoor cycling category, so being able to partner with the visionaries behind ANT+ technology is a logical and exciting step for the Schwinn brand,” added Jeff Dilts, Vice President of Product Management & Innovation for Core Health & Fitness. Schwinn offers power education and certification for cycling instructors. In addressing a growing industry, Schwinn’s commitment to quality and authenticity demanded nothing less than a partnership with the company behind the most accurate power meter on the market.